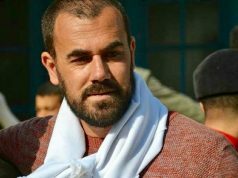 Rabat- The EU Parliament has once again shortlisted Hirak activist Nasser Zefzafi for the Sakharov Prize. Zefzafi has been shortlisted among five other individual candidates from Germany, Syria, the US, Ukraine, and Canada. Also on the list are a group focusing on Afrikaaner rights in South Africa and NGOs saving refugees and migrants in the Mediterranean. 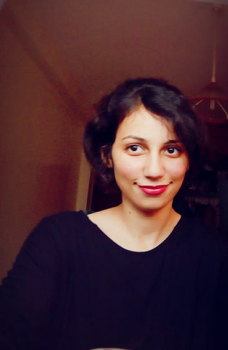 Established in 1988 in honor of Soviet physicist and dissident Andrei Sakharov, the Sakharov Prize for Freedom of Thought honors individuals and groups of people who have dedicated their lives to the defense of human rights and freedom of thought. The EU Parliament’s Group of the United Left nominated Zefzafi in hopes that the nomination would “raise the profile” of the Hirak case and “the demands of protesters,” as leftist MP Marie-Christine Vergiat stated. 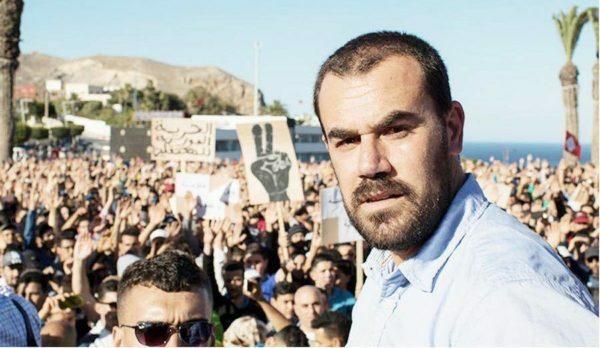 “With this nomination we want to show our solidarity with the Moroccan people demanding social justice, human rights and dignity … Mr Zefzafi is a spokesperson for the Hirak movement in Morocco’s Rif region. We demand the release of [Hirak] prisoners of conscience,” Vergiat said. Ahmed Zefzafi spoke at the European Parliament to advance the cause of the Hirak Rif and raise awareness of the conditions of his son and others arrested with him. The parliamentary deputy promised Zefzafi’s father then that he would receive his son Nasser immediately after his release. In June, a court in Casablanca gave sentences ranging from 1 to 20 years for 54 Hirak Rif activists. 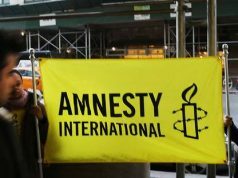 Zefzafi and three other activists received 20 years in prison for their participation in “unauthorized” protests. The Hirak movement began in October 2016 after the death of Mohcine Fikri, a local fishmonger who was crushed to death in a garbage truck while trying to save his goods that had been confiscated by authorities in Al Hoceima. 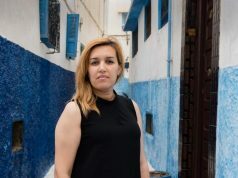 The incident angered citizens, causing protests across the country, but especially in Al Hoceima province, which condemned Fikri’s death and social disparities in Morocco. Police arrested an estimated 400 activists and protesters involved in the protests in 2016 and 2017. Following the ruling of the Casablanca court, hundreds of Moroccans rallied in protests in cities across the country, including Casablanca, Rabat, and the northern city of Nador, to denounce the “heavy” sentences. International NGOs and politicians, including Head of Government El Othmani, expressed solidarity with the activists. El Othmani regretted that his government could not intervene in the Hirak Rif case, because the judiciary is an independent authority. King Mohammed VI pardoned 184 Hirak prisoners on the eve of Eid al-Adha (festival of sacrifice), August 21. Nasser Zefzafi was not one of the pardoned activists. 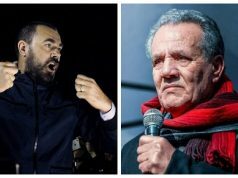 The Hirak case made international headlines and captured the attention of world leaders. 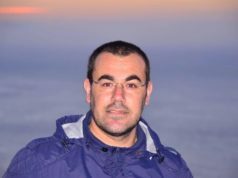 Blok also presented a report earlier this month to the Dutch Parliament, condemning the Hirak sentences, and commenting on King Mohammed VI’s royal pardon, which excluded Zefzafi. The critical comments led to conflict, and Nasser Bourita rejected, for the second time, the Dutch “interference” in Morocco’s domestic affairs, summoning the Dutch ambassador to Morocco.